I first saw a chiropractor in my teens because my back locked up suddenly one day. A few x-rays showed an S-shaped curve in my lower spine – scoliosis. (Scoliosis affects 2% of women and 0.5% of men in the general population.) I find regular exercise and an occasional chiropractic adjustment keeps my back pain-free. My shoulders and hips are at different heights because of the curve of my spine, and I always wear my purse and carry my briefcase on my left side – bags slide right off my right shoulder because it is lower. I met Dr. Rubin through family friends, and he explained that his health center is very holistic – incorporating many different treatments because each body does not always benefit from the same treatment. He explained his philosophy about how the body is interconnected, and a pain in my head or neck could actually be caused by a problem near my foot or back – causing problems up the kinetic chain. He spoke about the relationship between physical, chemical and mental stressors on the body. Everything made sense and I wanted to learn more. At the Rubin Health Center I received information about their “Anti-Aging menu”. Obviously, we all age, but finding out problems our bodies have early on allows us to treat things before they have settled for 35 years and caused us to age with pain or discomfort. I received a Structural Fingerprint exam – which looked at the overall structure of my body and how it works, where I feel pain, other related habits (such as sitting in front of a computer all day at work) and how these things affect my ability to move comfortably. First I went with Leesa for a WinPosture test. She asked some basic questions – my height, weight, age, etc. I stood on something that looked like a scale with my shoes and socks off. I stood still for 26 seconds with my eyes open and 26 seconds with my eyes closed. The machine I was standing on measured not only my weight, but how I distribute that weight. It can show if you shift weight from your left to right side smoothly, if you lean back or forward slightly, etc. You can see my results below. Next, I stood on a Foot Leveler machine. It looked like a copy machine on the floor, but when the light went back and forth it scanned the bottom of my feet. After that, I met with Dr. Rubin. He reviewed the WinPosture report and the scan of my feet. He explained that he looked at the bottom of my feet for a few reasons. First off, our feet support us when we stand, walk, run, etc. (I jog about 1.5 miles, 5 days/week.) Also, the arches in our feet are attached to nerves that run up our legs through our whole body. Pain rises from the feet, energy rises from the feet, stress can be held in our feet, etc. Most of what your body feels when you are standing starts in your feet and goes up the kinetic chain of your body. If your feet are arched properly, they can support your knees, hips, and the rest of your body properly. Because most of us wear shoes that are flat inside and not arched well, and because we walk on flat, paved surfaces most of the time, it is typical to see poor arches in feet at all ages these days. My arches were dropped, and my toes were hardly touching the floor in my scan. My weight is shifted back pretty far. Dr. Rubin showed me the Foot Leveler shoes he can order to stimulate the arches of the feet. They are custom made from a mold of your own foot and he even let me try his on. His looked like Birkenstock sandals, but there are other shoe styles available. To illustrate what he meant, Dr. Rubin tested my muscular response with and without the Foot Leveler shoes on. He pressed on my arm while I was standing first without shoes on, and then with his sandals on, to show how my resistance to his pressure was different simply because the bottom of my foot was being stimulated. A body is stronger with more arch support in the feet. Doctor Rubin also picked up my shoes off the floor and bent them, showing me what to look for in a “good” shoe. Aside from arch support, they should be flexible under the toe box so your foot can bend as you walk, but not be able to twist in the midline. My cute, leather mules passed the test (left)! These flat sneakers did not (right). I was asked to sit at the edge of the Doctor’s table with my shoes off. He used the ArthroStim, which looks like a drill but just made repeated thrusts on my back, shoulders and upper chest. It looked creepy, but felt great. A bit like driving over pebbles on the road. Then he used a VibraCussor which looked like a sander. I joked that we could build furniture together with his drill and sander! But actually, the VibraCussor releases muscles by increasing circulation and lymphatic flow, and decreasing muscle spasms. It felt great on my back and actually tickled on my chest. The doctor measured my legs to see if one is longer than the other, and did 3 or 4 quick chiropractic adjustments to my neck. I immediately had easier range of motion in my shoulders and neck. He also massaged my muscles with “The Stick”. Doctor Scott then led me to his neuroproprioceptive rehab gym. I had no idea what neuroproprioceptive meant, and with some Google research I found out that proprioception is the process by which the body can vary muscle contraction in immediate response to incoming information from external forces. So if you feel pain on the left, the body shifts to the right. If your right eye is weaker, your left eye begins to see better. If you are blind, you tend to hear better. It is the way your body adapts based on your environment. In the gym you can learn exercises to help you strengthen your weak points. This may include light weight training, some bending or twisting, some balancing or leg extensions. Now that my restrictions in motion, joint instability, muscular tightness, compensation patterns and muscle weakness was discerned, some carefully designed exercises could be recommended to get my muscles working together the way they were intended to. You can see pictures of Doctor Rubin walking me through some exercises here (click each one to see it larger). After your exercises are taught to you, you can visit the gym on your own schedule to repeat the exercises. 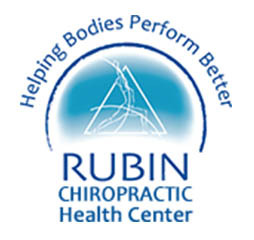 If you are interested in learning more about a structural fingerprint exam, call the Rubin Health Center and find out if it is right for you. Learn how your body has adapted to what you put it through every day, and how you can restore balance and destress naturally. To learn more about their great packages, you can read their Anti-Aging menu.